The runway of Lakme Fashion Week came alive with Spark and Glamour as Pakistani Designers Rizwan Beyg, Saniya Maskatiya and Zara Sahjahan presented some serious fashion knocks of Day 1. Rizwan created a collection incorporating soft feminine and demure feel that reflected the colourful art truck art which Pakistan is known for. Collection called Digitruck, inspired by truckers in Pakistan, included bags, shoes and jewellery. 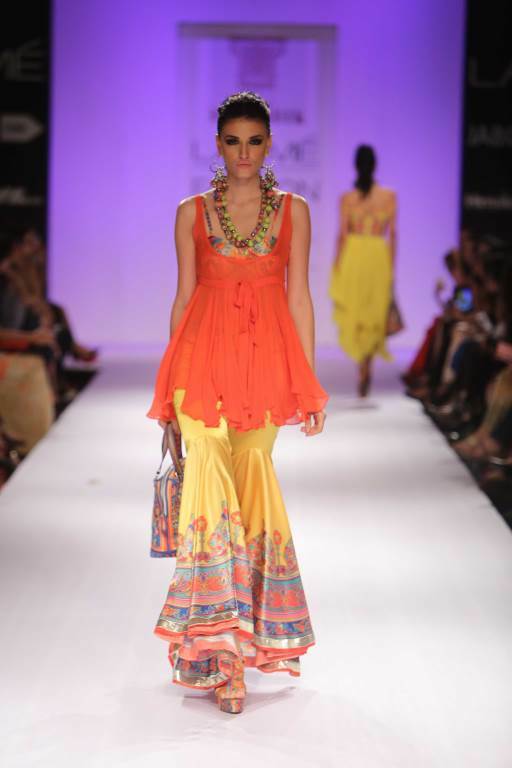 Notable creations include tiered miniskirts, off shoulder dhoti jumpsuits, satin printed sharer and printed corset. 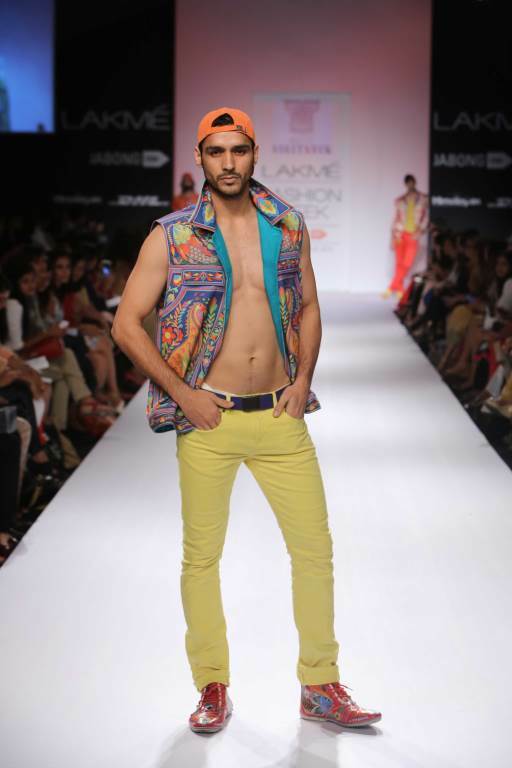 Men’s wear noticeably included Printed pants, jackets and waistcoats among others.